Don't have snow? Tired of the same old Christmas without any hope of a snowfall to build a snowman in site? Try the next best thing! 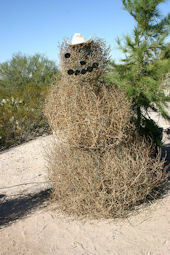 A tumbleweed snowman can be one of the most fun holiday traditions for your family. It is easy to create one of these eye-catching figures on your lawn or next to your home. 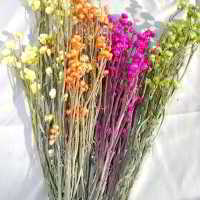 Instructions: Included, does not include accesories, photo is for decorating ideas only. Don't have snow? Tired of the same old Christmas without any hope of a snowfall to build a snowman in site? Try the next best thing! 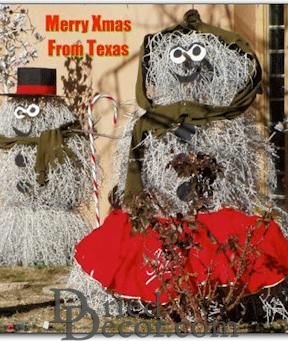 A tumbleweed snowman can be one of the most fun holiday traditions for your family. 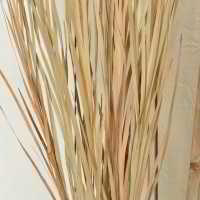 It is easy to create one of these eye-catching figures on your lawn or next to your home. 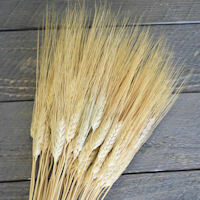 You can also choose to have it painted white, flocked, or custom painted the color of your choice. 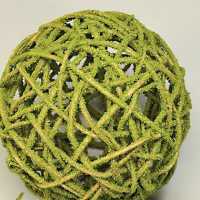 Each tumbleweed snowman comes with 1 baby tumbleweed, 1 large tumbleweed, 1 Giant tumbleweed as well as complete instructions on how to make your own winter decoration of the west. 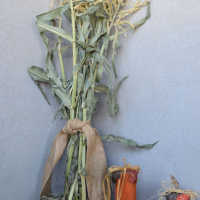 All you need is a broom handle, dowel, or sturdy pole to keep the tumbleweeds stacked. 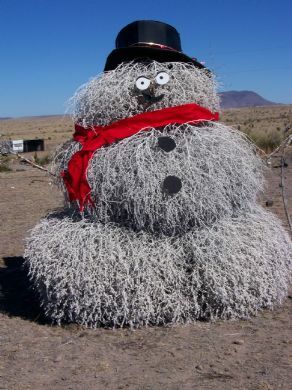 Guaranteed not to melt, this Tumbleweed Snowman will add a touch of country charm to your holiday season.